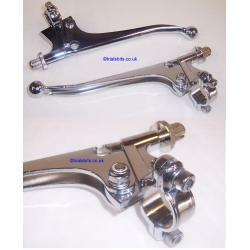 A pair of high quality replica Doherty anti rock levers. These have a really nice deep chrome finish, and come boxed. Available with either ball end or plain end, please choose from the dropdown. Quite difficult to photograph as they are very shiny.